Ever wondered what is exchanged on the foreign exchange market? You will be surprised to hear that the answer is absolutely “nothing”. The foreign exchange market is a 100% speculative market. No currencies are ever physically exchanged on the foreign exchange market. All foreign exchange major currency trades are calculated according to their market price value and exist only as computer entries. Dollar orientated accounts will show profits and/ or losses calculated in their respective dollar values against their accounts. The consequences of these mere computer entries are no less real and have far reaching effects on our economy. The primary function of the foreign exchange market is to manage and to oversee the exchange of major currencies for those institutions that relies heavily on continuous foreign exchange trading. An example of such an institution would be a multinational corporation who needs payment for services rendered by a foreign party. Another example would be a corporate entity that wishes to merge with another international corporation. So which currencies form part of the major Forex trading currencies on the foreign exchange market? 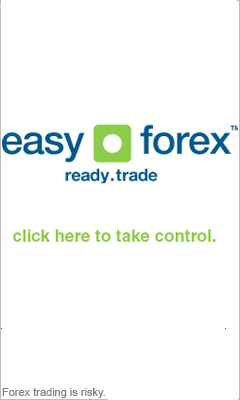 Major currency trading consists of only seven international currency pairs. These are divided into The Majors and The Commodity Pairs. The Majors are the most liquid and thus the most widely traded major currency pairs on the forex market. Their prices are less volatile than that of smaller less-known foreign currencies. Trade Major Currencies involving the Majors constitutes up to 90% of all trades on the Forex Market. The Commodity pairs consist of major currencies trading associated with commodities. AUD / USD (Australian Dollar / Us Dollar) associated with gold commodities. USD / CAD (US Dollar / Canadian Dollar) associated with oil commodities. NZD / USD (New Zealand Dollar / US Dollar) associated with gold commodities. The above trading major currencies units and combinations thereof (EUR/JPY, GBP/JPY and EUR/GBP) make for 95% of all trading on the Forex. The foreign exchange market is thus far more concentrated than that of the stock market exchange. As with all disciplines, there are loads of jargon associated with the foreign exchange market and its trading major currencies. Here is some interesting jargon to increase your credibility when trading currency: Alternative names for the British Pound: Sterling, Pound Nicknames for the US Dollar: Greenback, Buck The GBP / USD (British pound / US Dollar) pair is known as “Cable” and refers to the time when a transatlantic cable were used to synchronized the GBP / USD exchange rate between London and New York Forex market places. You should now be acquainted with all trade major currency and understand the relationship between Major currency pairs and associated commodity pairs.